In the Internet age, reporting faults with roads, potholes, drains, lighting or even fly tipping is made easy, thanks to local authorities’ use of websites that make the process painless. But first it’s important to establish who is responsible for the fixing the fault. Councils and local authorities are responsible for maintaining local roads. In England, you can find your local council, or check the council responsible for a stretch of road that you passed through, by using this simple directory tool. If the problem lies with a main trunk road or motorway, it will be managed by the Highways Agency. A map of its network can be seen here. It’s a different matter in London. Transport for London (TfL) oversees the main roads that interlink the capital, and it offers an interactive site that lets drivers, and pedestrians and cyclists report a range of faults, but again the motorways remain the responsibility of the Highways Agency. Councils have dedicated street fault reporting areas on their websites. 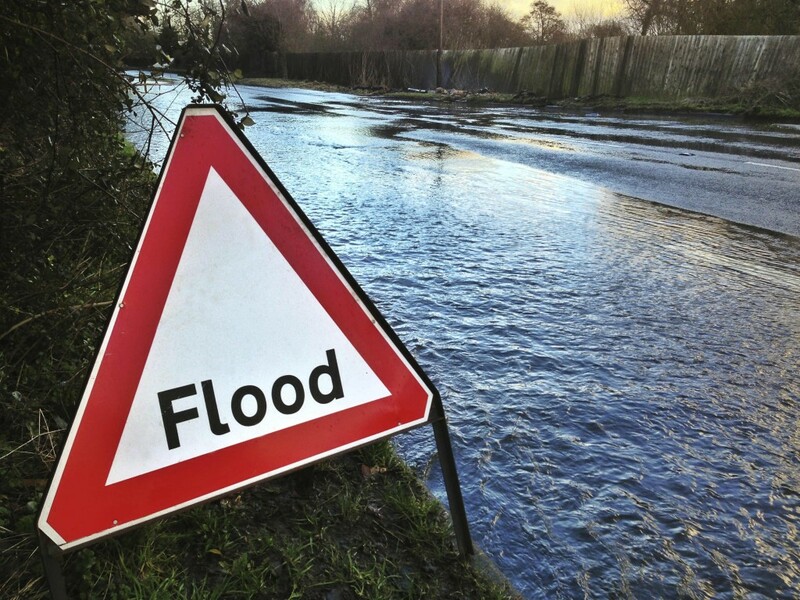 For example, Birmingham City Council has areas for letting it know of problems with road surfaces, flooding and drainage, obstructions, traffic lights, street lighting and trees. It then allows users to select a road name, write a brief description of the issue and upload relevant photographs. Many sites are more sophisticated still. 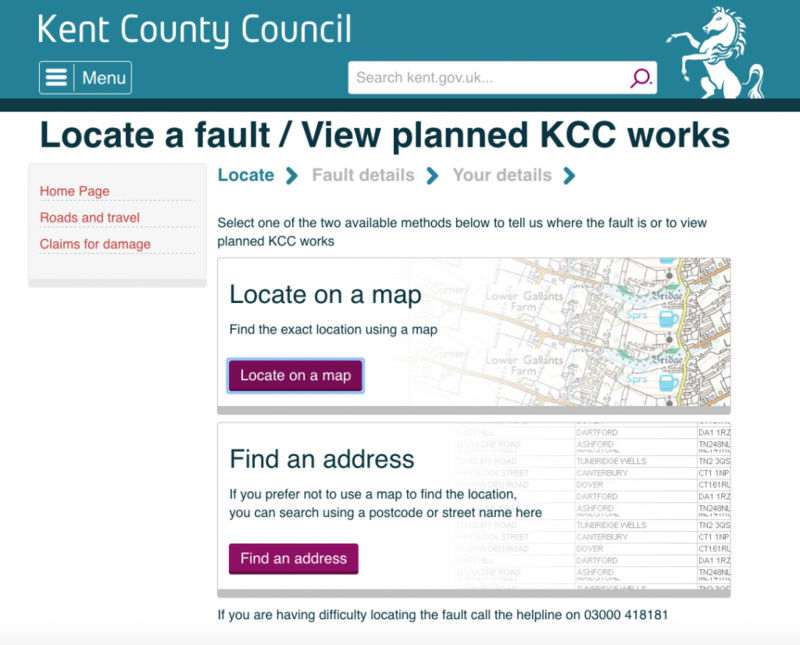 They’ll allow users to pinpoint the fault on a map – such as the one operated by Kent County Council – or check to see if someone else has already alerted the council to the problem. You’ll also be kept abreast of developments and any repairs carried out. Third part websites such as FixMyStreet claim to be a bit like a one-stop-shop for all problems to do with the road environment. It will allow you to pinpoint on a map a problem, upload photos of the offending fault, add a description and it then sends a report to the appropriate local authority. It often updates the status on reported faults, too, and local councils also seem to respond. Given the proliferation of potholes on British roads, it’s no surprise that a company rectifying the damage they cause, Warranty Direct, has launched Potholes.co.uk. This website is dedicated to reporting – you guessed it – holes in the road. It says that by helping alert local authorities to trouble, they can make a repair and reduce compensation claims from drivers. What if you don’t have internet access? Call your council and report the fault over the phone. In this day and age, it’s nice to know that it’s still possible to speak with someone. What is the government doing to repair potholes – the most common fault of all? In the 2015 Autumn Statement and Spending Review 2015, George Osborne announced the formation of a permanent national pothole fund of £250 million, spanning five years. In the 2016 Budget, the Chancellor said the government was working out how to allocate the £50m annual sum to local authorities, which it is claimed will help fill nearly one million potholes. It’s welcome news, but the UK is estimated to have a pothole plague that amounts to 12,000 miles, and it could take 12 years to repair all roads.